As I transition to faculty, I have increasingly gotten requests from people who want to do PhD's with me or want postdocs in my lab. Often these emails are extremely generic and don't suggest they know anything about my research. The descriptions of themselves suggests they've mostly studied completely unrelated topics to my research field (even as broadly defined as the topic at even the department level). I probably get at least one of these emails per day now (during graduate student application season), so it would be too cumbersome to send out a personalised response email to each one. And I imagine the volume will only increase if/when I become more established. Most faculty surely just ignore/delete these types of emails, but I feel bad that these students appear to have gotten terrible (or no) advice about how to contact a prospective advisor, and I want to be helpful. How should I reply? What I currently do is save the following text on my computer, and simply paste it in an email response every time I receive this type of email. I'm sorry to say that this email is too generic for me to consider you as a future PhD student working with me. Unfortunately, it doesn't demonstrate that you know what topics I work on. I'd recommend in the future sending only a few emails. Focus on max 10 or so potential supervisors that really fit your specific research interest. Explain what specifically drew you to them as a supervisor. Explain what you want to work on with them. You should have read one of their papers or at minimum read a description of their research from their webpage. The type of email you wrote will get very few responses because we receive several such emails. I hope this doesn't come off too harsh. I hope you might take this advice and improve next time if you send more emails in the future - because I really do want you to succeed. "My name is ____________ and I am a senior majoring in Applied Mathematics at UC Davis. I am interested in working in your lab during graduate studies because of my broad interests in theoretical ecology. Your website especially stood out because you state that you encourage independent research and teamwork. Currently, I am collaborating with six other students modelling plant population dynamics in fragmented landscapes. We defined our own research question, and although it was the toughest part of the project it was the most rewarding. During this project, I first came across your early work on the population dynamics of plants with a dormant life stage - and further reading some of your newer papers in epidemiology, predator prey dynamics and evolution, I really like the diversity of the problems in your lab. Specifically, I am interested in doing research in spatial ecology and understanding how populations spread. This is because spread is not only a fundamental process in ecology but also because it is at the heart of controlling environmental pests and diseases. I think your work on integral projection models will be especially relevant to the spread models I want to study (integro-difference equations). I am in the beginning phase of drafting an NSF graduate research fellowship application on how to best choose the locations of pest control when a pest species spreads according to such equations, and think you’d be an ideal supervisor for the project. I was wondering if you will have any openings for new graduate students in your lab this coming year? Any comments or feedback would be greatly appreciated." Note the parts about teamwork and independent research are specifically on this professors website that talks about qualities he looks for in graduate students. I didn't put this sentence in any of my emails to other professors (in fact all the sentences except for the first one are very different for each prospective professor). The goal being to provide them useful advice that they might take and become more successful in the future. Often these students come from disadvantaged backgrounds or from developing countries and I think it is really important to try to help them and not just ignore their emails. Of course, as one becomes more well known, even this strategy might prove to be cumbersome. Over this past graduate student application season, nearly all of the students I sent this email response to were gushing with gratitude for the advice. If I am not especially interested in the student's profile, I simply delete the email. If no effort whatsoever was spent by the sender to address an email to me personally, I don't feel like I have a duty to respond to it. If I am interested by the student's profile and they have just been clueless about how to get in touch with potential supervisors, you can answer generic advice as suggested in @WetlabStudent's answer, or you can write a one-line generic answer like "Thanks for reaching out. What would specifically interest you in working with me?" and give the student a chance to be more specific. In our department, we forward those emails to the department administrator, who replies with a polite but generic e-mail encouraging prospective students to apply via our normal procedure. However, that’s a bit above and beyond, and I realize many departments don’t offer such a service to their faculty. In lieu of that, if you are a Gmail user, I recommend the “canned responses” feature, which is even easier than the copy and paste approach IMO. Life is about setting goals and priorities. If your goal is to be a saint, then spend time helping these random unknown individuals to fulfil their ambitions. If not, just hit "delete". Nobody can tell you whether to aspire to sainthood or to winning a Nobel Prize for your academic work (or something in between those extremes), but history suggests that trying achieve both simultaneously doesn't work. It seems like the consensus here about replying to generic emails with canned emails. I have nothing to add to the existing answers, except a technical solution to make the process of copy-pasting the emails easier. 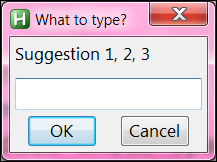 Two software I can recommend for Windows users are PhraseExpress and AutoHotkey. The former has a GUI and can sync with your phone, the latter gives you more flexibility. Interesting question. I went through the application process a few years ago, and quite a few professors never responded, and to be honest I think that's perfectly okay, and have told many of my friends to expect no reply when applying. If you really want to, I'd keep it brief and say basically that you're looking for students with a clearer idea of their research topics and ones who know better what you are studying. and then tell them best of luck. Don't. If the email is unsolicited, you're not obliged to answer. I know that this goes against our inner moral compass, but think of it this way: sending email is quick and easy. Too quick and too easy. Those people most likely have put less effort into sending such email than the effort you have put into reading it! It's you who's at disadvantage here. Responding is nothing short of letting yourself to be robbed of even more time against your will. That's why your colleagues just delete them. Don't feel bad for ignoring bad mails. In fact, feel bad for replying! If you reply to bad mails, you're only showing that their strategy is working and encourage them to keep sending more. You're helping by ignoring. You want to be helpful. But they're not asking for your help, they're asking for a specific favor. What you're currently doing is unsolicited advice, as unsolicited as their spam. And like most unsolicited things it only makes everything worse. You'll be seen as condescending and patronizing. You're basically saying "be more like me and less yourself". Nobody wants to hear that. You're not helping anyone, you just make yourself feel better about being yourself. You should be careful to spend no more time replying to an email than was spent sending it. Don't feel bad about deleting an entirely generic email, but if I have time or the email has any merit I send a one-sentence email asking for details about how this relates to my own work, or if it is an undergraduate asking for an internship with a good email, I suggest in the future applying for a PhD with a proper connection to the work of the person they choose to contact. You can also write a web page about what you want written in PhD or postdoc "cold" applications (or saying that these are not welcome) and then just send the URL when you get these emails. Not the answer you're looking for? Browse other questions tagged phd graduate-admissions application email or ask your own question. How much time should someone take to respond to a PhD admission offer? How much does TA experience impact acceptance into PhD programs? How brief I should be when contacting a professor for a PhD position for the first time? How much time does it take to get a release letter from a university? How much time are UK PhD admittees typically given to accept/decline an offer?